Eating lunch at your desk? That quick ‘nip to the shop’ to buy a meal deal you’re now eating whilst browsing the Internet? We’ve been there too, don’t worry. In fact a recent survey showed that the average time taken for breaks in the UK is now 29 minutes per day, amounting to a staggering 16 days each working year. Now there are advantages of course – it’s cheaper, better in drab weather when alfresco dining is limited, and removes that hassle of encouraging colleagues to come with you. This behaviour isn’t exclusive to the UK though, giving one Dutch entrepreneur a unique idea. 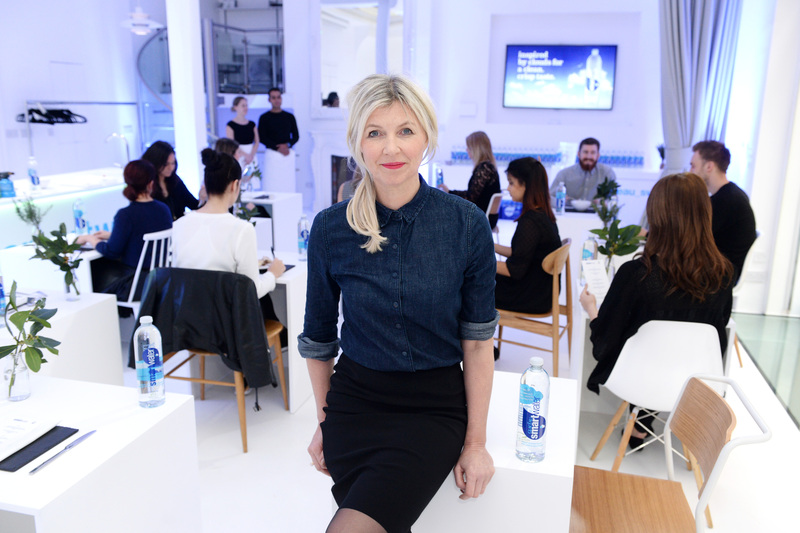 Marina van Goor passionately believes we need to take back our lunch hours, disconnect from the daily demands, and spend time enjoying ourselves. Her answer is Eenmaal, Dutch for ‘dining for one’, a pop-up lunch experience for solo diners. Out For Lunch were invited to step out of our comfort zones and head to the media preview of Eenmaal’s debut in London. The Joint: Eenmaal, Grape Street, London – A pop-up experience though so it’s not worth heading down there now. Find out more of what was offered at their website. The Vibe: First launched in Holland last year, the concept of Eenmaal is relatively simple. Arrive on your own, eat on your own, and attempt to enjoy your own thoughts away from the pressures of work or social media (or ‘temporary disconnection’ if you’d like).Londoners were able to grab tickets to the 48 hour event through social media and then sent invites to an exclusive location in the West End. 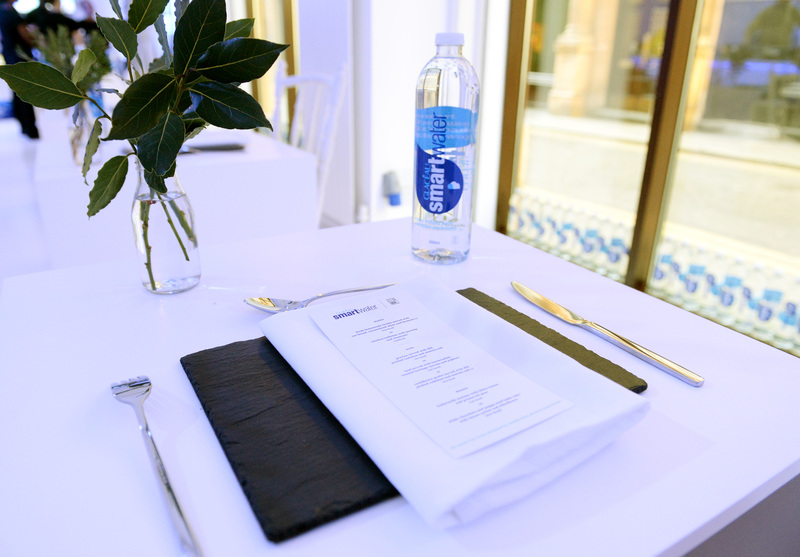 As we enter we’re shown to our single table – complete with a fancy and minimal menu, some reflective literature, and a large bottle of Glaceau Smartwater (the event sponsors who are not endorsing this article but were kind enough to offer us a free lunch!). The silence amongst the small collection of guests is initially terrifying, we must admit, but it’s eventually broken as we’re asked to choose two courses from the three detailed. We challenge ourselves to a starter of chicken ballotine served with chestnuts and parsnips, and a main of cauliflower gratin with pickled radishes and matcha salt. We’re then left to our own thoughts for a short while. These thoughts start off overwhelmingly occupied on how we should behave in this situation but eventually settle down when the food arrives. 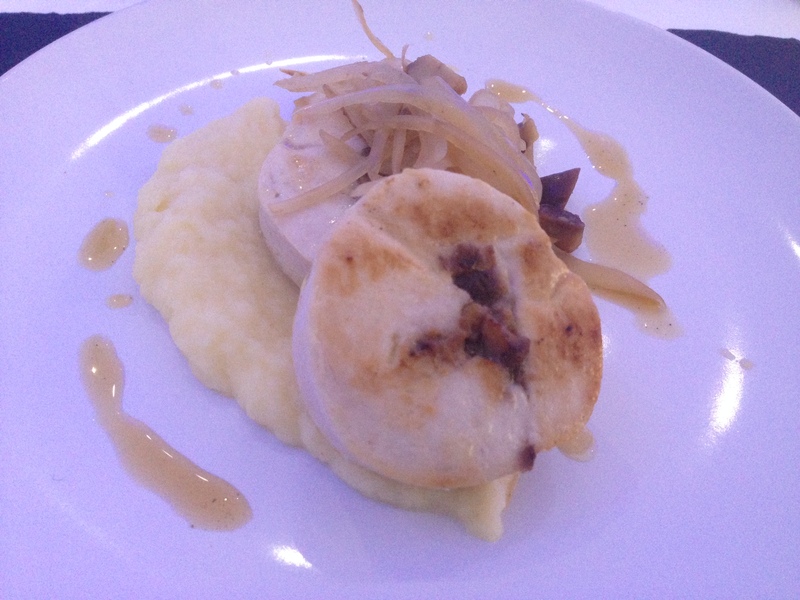 The chicken ballotine, all 140 calories of it, was a great choice for starter. It’s moist, completed well by the chestnuts, and served with a generous portion of puréed parsnips. 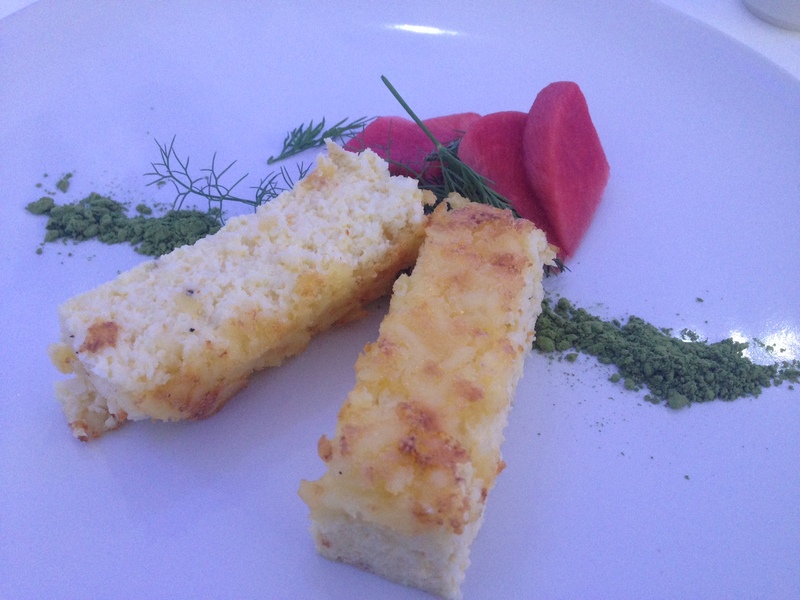 We then don’t wait long for the smart looking main, cauliflower gratin served with dill, pickled radishes, and matcha salt. The gratin is light and full of flavour, whilst the colourful pickled radishes and matcha salt aren’t really for our taste buds. At a combined 350 calories the food served at Eenmaal it’s a far cry from the pizza slices and burgers dripping with saturated fats that we’re used to. However the 40 minute session did give us time to reflect and think about what we look for in our lunches. We’re big fans of lively environments, shooting the breeze with mates, and grabbing a bargain or two. Eenmaal certainly isn’t this, but that didn’t stop it being a great, one-off, experience either. Once we settled into the idea of dining alone then it did become quite relaxing and a really novel approach to your lunch hour. Fear not though – this isn’t a changing of the guard at Out For Lunch, just a quick trip to the other side for an hour. Normal service shall resume shortly. Posted in LondonTagged cauliflower gratin, chicken ballotine, concept, eenmaal, glaceau smartwater, London, lunch, marina von goor, pop-up, solo dining, temporary disconnectionBookmark the permalink.